CAYA's Hand-Pump Monitoring Device is light-weight and durable & helps monitor the functioning of a hand pump, report breakdown and the reason for the breakdown in real time. 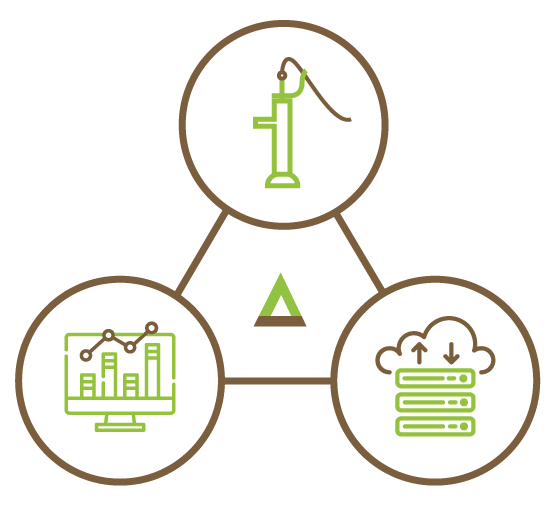 The dashboard feature allows the user to view the hand pump data analysis report in real time. 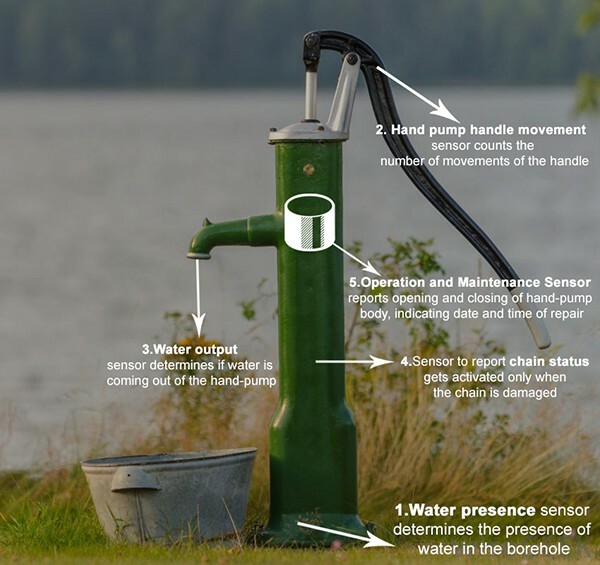 The device consists of mechanical sensors assembled together in the shape of a hand-pump cylinder which makes installation convenient, and not prone to thefts and damages. The sensors are controlled by electronic PCB & data is transmitted through GPRS Network. All the data is managed at back-end & dashboard is created with varying degrees of detail, based on the need of the official. Normally this kind of a device is expensive as it is heavily dependent upon electronic sensors, & less robust for use in developing countries conditions. They also consume a lot of energy hence need frequent battery replacements. Our device has mechanical sensors and they work without any electronic circuit. Most functions only get activated once there is a fault and don't consume any battery in dormant mode.